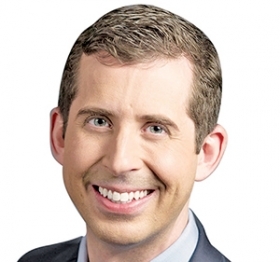 NASHVILLE -- Jeremy Tucker was named Nissan North America vice president of marketing communications and media last September as Nissan prepared for a series of key projects. The brand would return to Super Bowl advertising in February for the first time in 18 years, with a new "storytelling" approach to its marketing. The company was also preparing to launch three redesigned image products in the U.S.: the upper-end Murano crossover, the Maxima sport sedan, and later this year, the full-size Titan pickup. Tucker, 38, came to Nissan from Disney Consumer Products, where he was head of strategic marketing for the $43 billion retail operation. He previously directed ad campaigns with popular consumer products, including PepsiCo's Frito-Lay unit, and handling accounts on the agency side at Procter & Gamble. His mission now is help Nissan make a clearer and more consistent brand statement as it racks up more U.S. market share, 7.7 percent at the end of last year in pursuit of 10 percent. He spoke with Staff Reporter Lindsay Chappell. Q: Is Nissan's rising market share translating into a bigger advertising budget? A: We have to still consider ourselves a challenger brand, and we have to make every dollar count. That's part of what "fewer, bigger, better" is about. My challenge is that regardless of whether my budget goes up or down, we're going to be focused on being scrappy and efficient and super hungry, and outflank all the competitors who come after us. How much has your budget gone up for 2015? I can't answer that. But we are looking to make every dollar go further. My team is laying out a long-range plan and not operating quarter to quarter. When will you launch marketing for the new Maxima? It kicks off at the end of June, leading into July. Not much because I haven't signed off on it yet. We're not even in production yet. The work is being developed with Chiat and with Team Ignition, which is our multicultural agency. But we're looking at all things, including television. The launch is right in the middle of the summer, and TV viewing tends to fall off in the summer. So we're thinking outside the box. Maxima is our oldest nameplate. It's a tremendous halo for Nissan, and the car represents some of the best things we're doing for the brand. Same question for the Titan -- can you tell us how you intend to get back into the full-size pickup segment? That comes later. We haven't figured it all out yet. Titan is a very interesting challenge for us. How do you launch a product that is compelling and uniquely Nissan when you have formidable competitors like Chevy and Ford? This is the exciting part of the job. We're not behaving like a Disney or a Pepsi. You have to behave like a challenger brand, which is something I learned very well from Frito-Lay. You have to be nimble. You have to think scrappy and outside the box and do things differently. Let's be frank, you can't go up directly against Ford and Chevy. That's not a smart strategy. The team is having a really good debate about it. They're wrestling intellectually with it and asking the hard questions to make sure our strategy is airtight. I'm confident we'll solve it because the truck is amazing. You speak of Nissan's ad strategy as "fewer, bigger, better." What does that really mean? We've got 21 or 22 models in our line. We did a great job last year of putting our media dollars in events where we can be bigger and better. But even beyond our media spending, what we've come to understand is that certain ... models halo the Nissan brand and do more to drive sales than any other model. It's Altima, Sentra, Rogue. So we've been able to quantify where we put our investment, dollar for dollar. If we focus on those models, we not only get greater scale on the media scale, we are bringing more people into the purchase funnel and into our dealerships to help push activity out across the rest of our portfolio. There appear to be changes going on in Nissan's approach to marketing. True? There has been a really big shift. We've talked about the question of "How do you build your brand over time?" And why do you focus on that? Building the brand helps us drive awareness, No. 1. It also helps customers have a clearer view of Nissan and what we're doing. And it helps command a price premium in the market. So focusing on the brand has obvious benefits. But we were fragmented before. We had Tier 1 advertising activity over here and Tier 2 over there, and then dealers doing their local thing. The biggest change we've made over the past year is we challenged Zimmerman, who is our Tier 2 agency, and Chiat, our Tier 1 agency, to figure out how to elevate Tier 2 out of just doing sales event and sales messaging. Sales messaging is not a place where we want to be. We needed to be closer to a brand-building message. If you look at our Tier 2 work now, it's consistent through the year. It's the same look and feel, same tone and pacing, and it looks closer to our Tier 1 message. Do unexpected things like that really happen? Yes. An example was just last October. Nissan was identified as the nation's most efficient full-line auto manufacturer by the EPA. That was something that we had been working very hard to tell consumers. We had developed a marketing campaign behind it and developed assets to support it. But just as it happened, gas prices took a dive, and suddenly the recognition didn't mean as much. So we had to shift. We asked what other things consumers were thinking about. At that moment, it was a growing demand for Altima, and so we took a step and focused instead on the benefits of owning an Altima. That's what I mean -- you can't be bullheaded in this business and miss the changes. You have to stay nimble.